Class up that tuxedo with the help of Star Trek and these excellent Star Trek Original Series Enterprise Ship Cufflinks! Captain Kirk would wear these, and if they're good enough for the most famous United Federation of Planets Starship Captains, then they're good enough for you. The NCC-1701 Enterprise would look great on your suit! 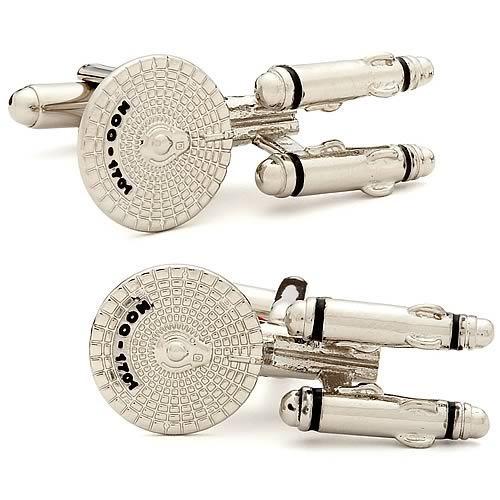 You can really flaunt your fandom when you wear these excellent Star Trek Original Series Enterprise Ship Cufflinks.